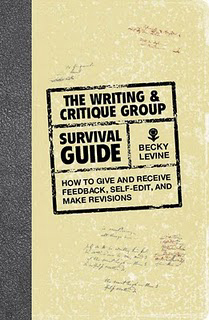 Recently, I bought a book by Becky Levine I hope will improve my critiques. (If you have or do read it let me know what you think.) I have been a member of a large critique group, then a smaller one, and now an even smaller one. I’ve never had much confidence in my critiquing ability because, except for the mechanics, I felt I could only tell you what I didn’t think worked, not how to fix it. Ookayyy … but who are these “people” he speaks of? I think this statement might apply most to group #1. It’s possible, of course, that someone who reads extensively, but doesn’t write could tell you what’s wrong, though not likely they could tell you how to fix it. And I can see where it could apply to many in group #2. Haven’t we all had the experience of another writer suggesting changes that would transform your book or story into something you never intended. Or suggesting changes that would result in something suspiciously like their writing? In fairness, Neil Gaiman is savvy, he’s a published writer, so I don’t think he was referring to groups #3 and #4. If we want to be published, we should—we have to—listen to agents and editors, right? So I’m left to wonder who exactly are these people he advises us not to listen to. Surely he didn’t mean that fellow writers can never tell us how to fix something in our writing. Tell me, who do you trust to help fix your writing problems? I am part of a great writing group. We are seven or eight depending on the month, and all different styles and genres. It’s amazing, but it works fantastically. I was once part of another group of only three, all literary writers. I was a new writer, and accepted every ounce of criticism from them. I would go home and get to work on the changes. When I look at the changes I made I cringe now. So much of it is nonsense. For me, the greatest factor in using feedback wisely is in trusting myself. I look at overall comments, wrong ideas about events/characters, and know, hey, they get the wrong picture here, I need to clarify. Or, is something’s confusing, I know it’s messy. Things like that. Really? You liked your diverse group better? Maybe, at least, you were all on the same level. Hmmm, now you and Tricia have me wondering if I should go back and look at some of the early changes I made based on critique. Not that I listened to every bit of advice. For me, the operative word in your question is “fix”. After experiencing what many others have expressed here, I’ve learned to listen to comments about what works and what doesn’t, and do the fixing myself. When we discussed in the group setting, the writer was not allowed to speak (aka explain!) After the discussion, the writer was allowed to ask one question. Very strict, but I learned *a lot*. Right now, I can’t manage a regular commitment to a critique group, but what I learned in those two years is still with me when I’m at the re-writing phase in my work. For now, I rely on beta readers who are non-writers. One thing I like about non-writing readers is, as you said Linda, they typically don’t know how to fix it. They say — I was bored here, I don’t believe this, I had to re-read this passage several times, I couldn’t stop reading at this point, I’m angry at this character for choice x, etc. You have better non-writer beta readers than I do, Cathryn. I have only one, so far, who gave me any feedback like you mentioned. The others just told me they loved it, which is nice to hear, but I had hoped to get more specifics. On the other hand, I’ve had some excellent feedback from writer readers who didn’t try to rewrite my story. btw, very thought-provoking and discussion-provoking post! I found this blog on the right day, lucky me. I joined Critique Circle in December and just received my first crits. It was an interesting experience. Not totally rewarding, but helpful enough. Out of 7 crits, 3 were very useful, 1 person nearly re-wrote my entire story, and another was a seventeen-year old boy who told me he didn’t think a woman would feel a bond with her child just because she gave birth to him…hum. Will I submit another story? Yes. Will I take the feedback as law? No. In my opinion, the reader’s critique mean more to me than another writer’s–or just a critic’s. This being said, most writer’s are readers too. If I had to choose from the above choices I would choose number 1. Even though I do value another writer’s opinion, number one would still be my choice. Yes, I am a regular on Darksculptures blog. Nothing like a broken link to kill your blog traffic. Pretty much my experience with CC too. The value is in the variety as much as the occasional gem of a crit. Dayner, you gave me a laugh-out-loud chuckle with your 17 year old boy’s comment. Thanks! Yes, I got a good chuckle out of the entire critique. Linda, I LOVE the Neil Gaiman quote. In fact, I’m going to have to read it every morning for a while. I’ve only just begun with the non-family critiques and I’m experiencing quite a sharp learning curve. Thank you for your post. I’m studying it and all the comments. I’ve only had non-family critiques, so I jumped in the hot water first. 🙂 You were brave to ask for one on your blog.